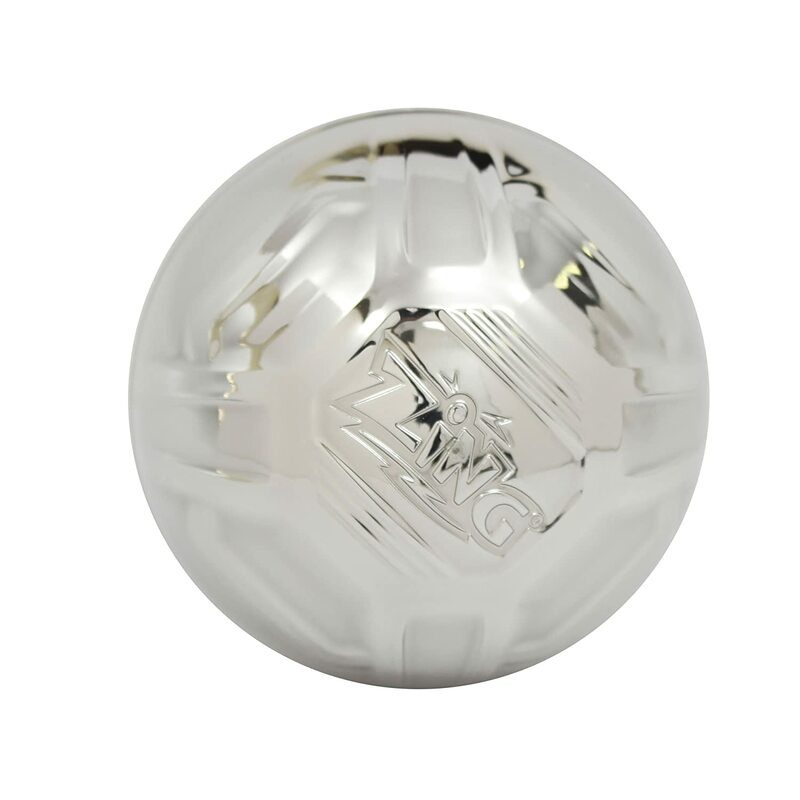 Zing is ready to celebrate the summer heat, BBQs and being outside with their new Metaltek Balls! 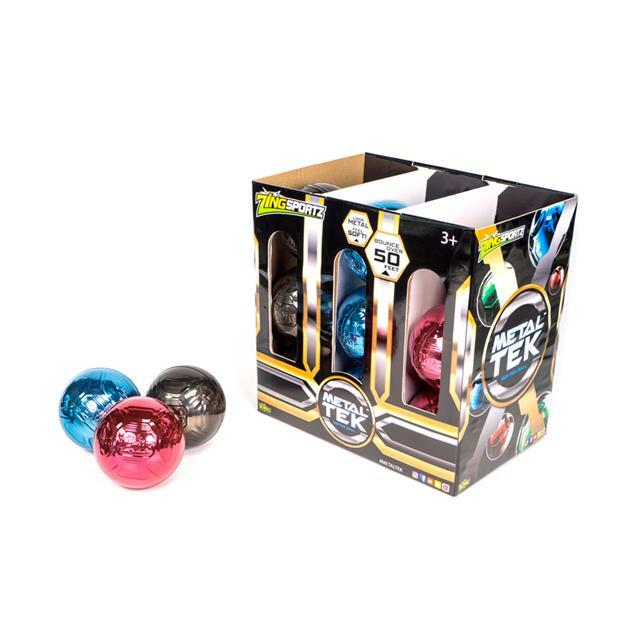 Perfect as an outdoor party activity, birthday present or just for a play day in the sun, Metaltek Balls are bursting with fun. Made with Zing’s Metaltek, these balls bounce up to 50 feet in the air. The balls are available in black, silver, blue and red. My kids are too old to play with most toys but Logan really likes the silver Metaltek Ball we received. It mostly has to do with the fact that it's not designed in "babyish" patterns and it's a "cool enough" ball to play with friends. I think it's great for kids of most any age, but can see how it'd be more appealing to older kids because of the bright, shiny colors. 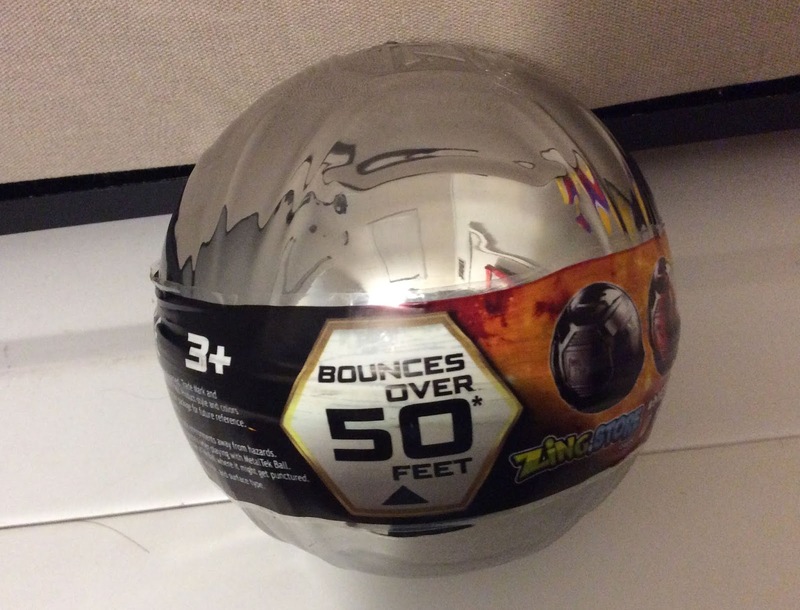 Zing Metaltek Balls are 4" round and do, indeed, bounce very high!